European Council meetings are usually quite the grand affair; Think police helicopters flying over Brussels rooftops and officers armed with automatic rifles at roadblocks around the Schumanplein. But few of these summits will carry as much political tension, nor indeed as much historical significance, as the one that tomorrow. No longer looming on the horizon, the official date for Brexit is now right around the corner. With 9 days to go, Theresa May will face off with her counterparts of the EU 27 and the European Commission tomorrow in Brussels in a last ditch attempt to solve the withdrawal impasse. Since last week, pressure has been firmly on the side of the British Parliament. Westminster is in crisis, and May—as Dutch PM Mark Rutte joked on a Sunday talk show—is in a position similar to the limbless knight from Monty Python. Arduous negotiations between the European Commission and the UK Government resulted in the Withdrawal Agreement and the Political Declaration reached in late November 2018. A meaningful vote (let’s call it MV1) on the deal was first scheduled in the House of Commons for December 2018, but after being delayed by the Government, was defeated (202 v 432) by a historic margin on January 15, 2019. On Tuesday March 12, May put forward a second meaningful vote (MV2) on her deal, after she had won a number of “legally binding” assurances from Commission President Jean-Claude Juncker that the Irish backstop could be only temporary. This is significant because a key dilemma in the EU-UK negotiations was that the Good Friday Agreement and Brexit are de facto incompatible. The former requires that there be no hard border on the island of Ireland, and therefore a provision for a backstop was created in which Northern Ireland would be in a customs union with the Republic of Ireland and the rest of the EU. However, the possibility of an indefinite backstop is a politically untenable situation as it would erode the very existence of the UK. Thus, Juncker’s legal assurances were key for May to be able to whip the votes of the DUP (the Unionist Northern Irish party, and coalition partner) as well as some hardline Conservatives. However, May was dealt a major blow when the UK’s Attorney General published a legal opinion hours before MV2 stating that these assurances were in fact not fully legally binding, and that Britain could end up stuck in a backstop indefinitely. So, May’s deal failed to pass the House of Commons for a second time, albeit with a slightly smaller margin (242 v 391) than the first time. The following day, on Wednesday March 13, a series of votes were held in Westminster in which only two positive majorities emerged: one against a no-deal Brexit and another in support of requesting either a short extension of the Art. 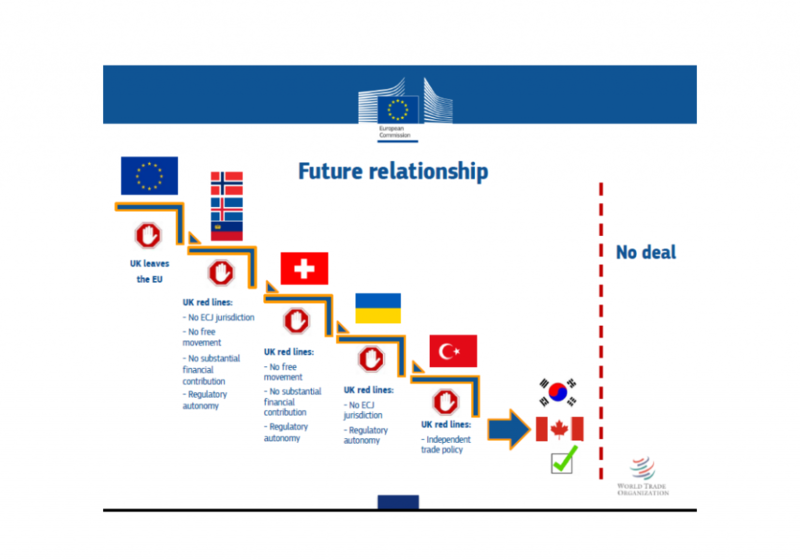 50 deadline (which stipulates the official date for Brexit) in the case of a deal, or a longer one in the case of no-deal. Although these votes held little to no legal effect (London cannot unilaterally extend Article 50 without Brussels’ consent), it did put some wind in May’s sails. The Government’s plan was to whip enough votes from the DUP and Conservative Brexiteers (such as Boris Johnson) and put forward MV3 before May left for the European Council meeting in Brussels. MV3 was not to be had, however, as Speaker of the House John Bercow ruled that May’s deal could not be put to another vote because it had “already been decided in that same session of parliament.” The (usually) politically-neutral Speaker blocked the Government’s potential third vote based on a parliamentary precedent not used since 1920. Thus, although Bercow may have spared her a third defeat May will go to Brussels under significant pressure. May heads to Brussels without widespread support for her deal and in a position of weakness: having to ask for an extension, a favour which Brussels is not obliged to grant. 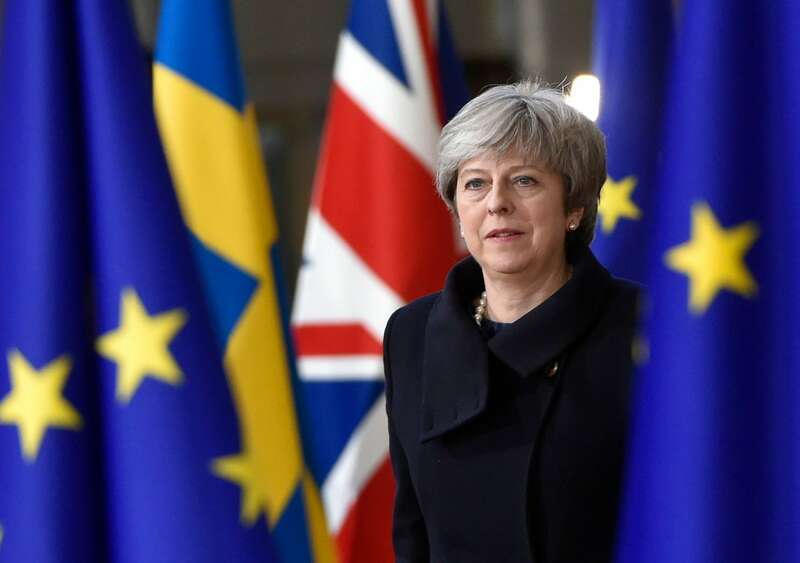 As of this morning, May has officially requested a short extension until June 30, but the EU has said it preferred a shorter one until May 23, right before the European elections. The only positive majority that May brings to Brussels is a majority against a no-deal Brexit. Since no deal has been reached yet, the majority is also in favour of a long extension of Article 50. The problem is that this extension will not be easily granted by the EU27. An extension beyond June 2019 would require that Britain participate in the elections for the European parliament in late May. It is clear that the UK is mired in domestic chaos, but British participation in European elections risks spreading that chaos to the continent. It would force the European elections to become a vote on Brexit, rather than on policies that matter for the EU’s own future. Further, it would give the continent’s populist parties licence to criticize the Union as being undemocratic. Will these political risks be outweighed by the economic risks of no-deal Brexit? German Chancellor Angela Merkel has been somewhat more dovish, but has indicated that she is unwilling to commit to an extension until the details and reasons for its request are made. Mark Rutte, the Dutch PM, has shown frustration that the British parliament has been “spinning in circles for two years now.” May must deliver a clear plan to convince her interlocutors in Brussels that she can solve the domestic impasse with a plan that garners enough votes, and in as little time as possible. By the European Commission, Task Force for the Preparation of the Negotiations with the United Kingdom under Article 50 TEU. What, then, could come out of Brussels? If the EU’s relatively young history teaches us anything, it is that European leaders are the masters of last minute, and very dramatic, solutions. May must provide a clear rationale for requesting an extension. The good news is that much of the domestic opposition to the Brexit deal could be solved by amending the much shorter Political Declaration, rather than the thick and legalistic Withdrawal Agreement; an alternative future relationship based on the Norway model could still be negotiated. Significantly, Labour has made it clear this morning that it would support such a solution for a soft Brexit. The EU27 could push for a longer 2-year extension, rather than the May 23rd date it has set on Wednesday morning, if May promises to hold a second referendum—a messy and very unlikely outcome. Nevertheless, the possibility of dragging Britain through European elections could scare Eurosceptic MPs into passing May’s deal. It is also possible that May leaves Brussels with some sort of legal assurances from the European Commission that would allow the government to table a third meaningful vote on the withdrawal deal. If the backstop issue—amongst others—can be solved, then the government may be able to garner enough support from the DUP and Conservative no-dealers to pass the deal through Parliament. This would be a mutually beneficial outcome for the EU and the UK, if not an overly optimistic one. The clock is ticking, and leaders will have to haggle tomorrow over the length of a Brexit extension. What this will bring next, however, is anyone’s guess. The EU has a massive judgement call to make. To quote a Cambridge Professor and astute Brexit commentator, a refusal to a request for an extension wouldn’t merely cause offence; it would probably cause a change of government. Will a path to a deal be laid tomorrow in Brussels? What is certain is that in the absence of a path, no-deal is the only possible outcome come March 29th.